Home - Knowledge Base - How Much Does Medifast Cost? Medifast offers excellent weight loss plans developed by a physician and recognized by medical experts as safe and healthy solutions for shedding extra pounds. The meals available within Medifast weight loss plans are low in calories and fat and rich in fibers, nutrients, and vitamins. The plans are characterized by great versatility and flexibility and the prices are rather affordable. What follows is a clear overview of the prices of Medifast meals and meal kits. With Medifast meal delivery service, the price per serving depends on whether you are ordering meals individually or within a meal kit. 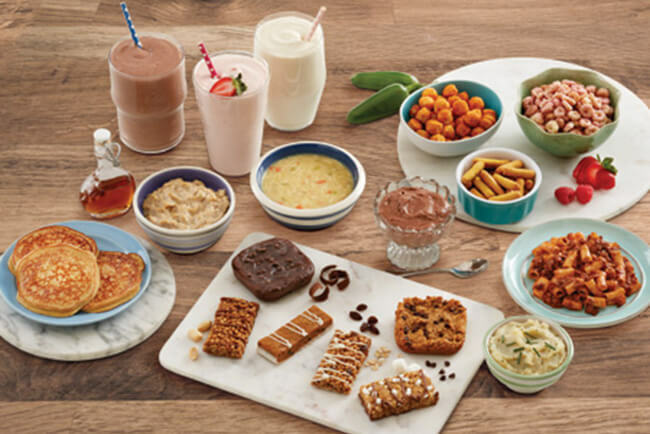 Individual Medifast meals include bars, shakes, smoothies, drinks, crunchers, hearty choices, breakfasts, and desserts, all of which include 7 servings per pack and cost $19.50 per pack. 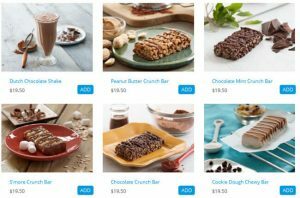 The same goes for individual bars, shakes, and smoothies designed for the Thrive plan – you get 7 servings for $19.50. There are some exceptions, however. For instance, Dutch Chocolate, French Vanilla, and Mocha shakes cost $66.75. If you opt for Medifast’s Lean & Green meals, you pay $29.70 per the 6-serving box and $54.96 per the 12-serving box. You can add some snacks to your order and get a 7-serving box of crisps, popcorn or crackers for $7.95. To stay hydrated, you can purchase delicious flavor infusers that cost $17.50 per the 21-serving box. Finally, to optimize your health, you can get probiotic and Omega-3 supplements that cost between $8 and $44.95 per the 30-capsule kit. Now, let us focus on the 30-day kits that have you covered for the entire month. If you opt for the Medifast Go™ 30-Day Select Kit, you get 154 servings for $429, which amounts to only $2.78 per serving. The Medifast Flex™ 30-Day Select Kit includes 135 servings and costs $395.55 ($2.93 per serving). Finally, the Medifast Flex™ 30-Day Complete Kit includes 138 servings and costs $460.30 (3.33 per serving). As you can see, no matter which option you choose, you get great meals that promote weight loss at surprisingly low prices. It is worth noting that if you subscribe, you get a lot of bonus items with your first order. These include a stainless steel blender, healthy snacks, lean & green meals, food journals, and other handy and delicious items. Furthermore, Medifast offers great discounts to new members, allowing you to save up to $158 on its kits. With Medifast, losing weight on a budget is easier than ever.